The first thing I need to do is open up a hole in the chassis to the right because I had to convert from a belt driven differential to a gear. The gear diffs has a larger diameter and that is why I needed to make hole. 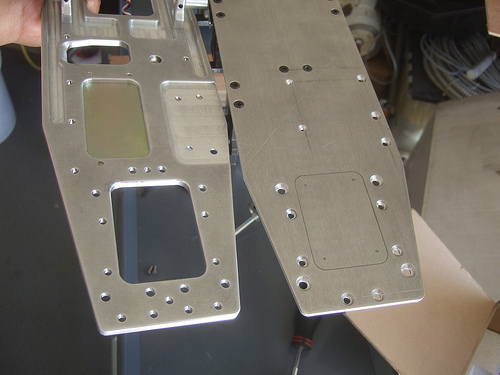 Since I had another chassis to copy from it was very easy for me to make the hole. I placed the chassis on top of each other and traced it. 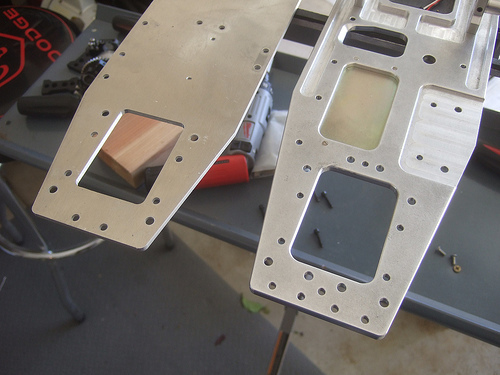 Here is the problem after I cut open the hole, the chassis I am using it a bit thinner than the new chassis. 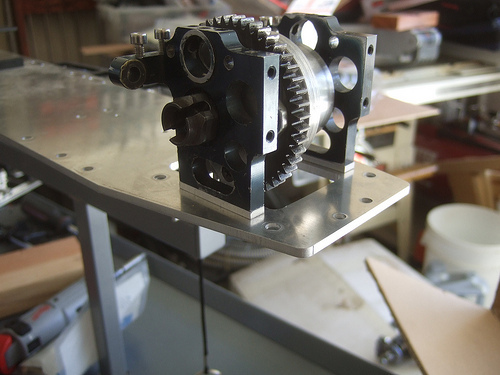 So when I mount the differential the gear sticks out past the bottom of the chassis. If the car ever bottoms out the diff gear will rub against the floor. I made these 2 little aluminum spacers to lift the diff up. 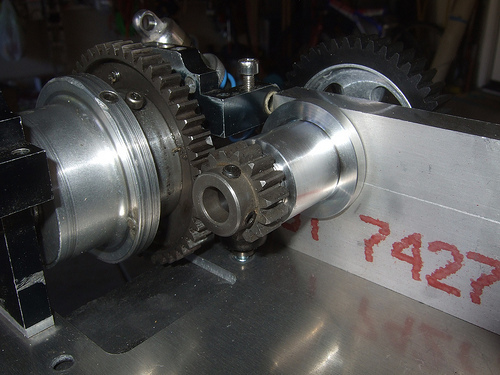 Here is the differential mounted on the chassis with the spacers. 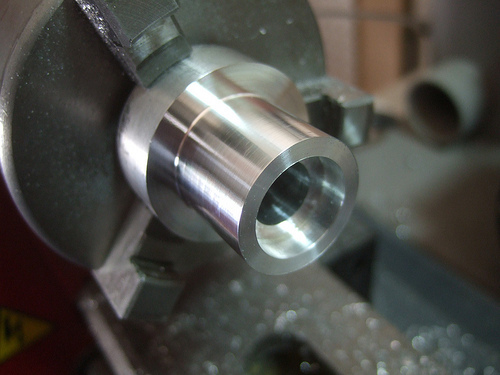 Next up is the intermediate shaft mount. 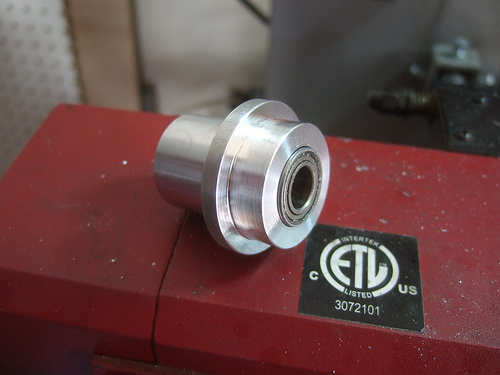 Since I do not have the tools to boar a hole exactly the same size as the bearing on to a flat piece of aluminum, I had to find another way to build in the bearings. 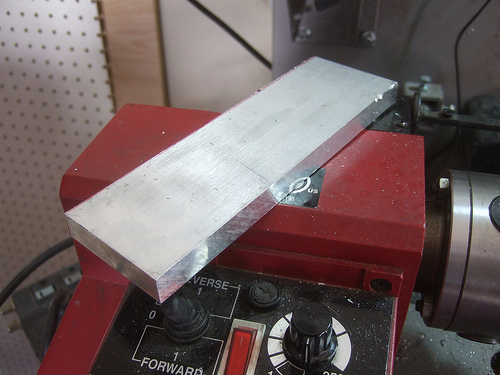 I started with a round bar of 7075 aluminum. Here you can see the hole I bored out for the bearing. 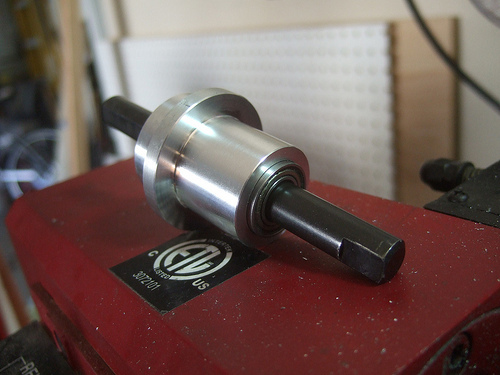 To make the intermediate shaft mount as strong as possible I plan to embed this end inside the motor mount. I was able to drill a hole this size on to the motor mount with a hole saw. 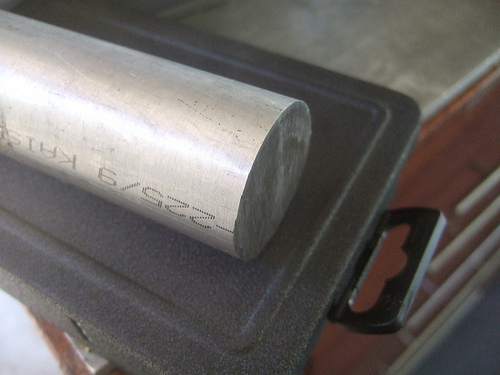 This is the motor mount that is made of out 1/2 inch thick 6061 aluminum. 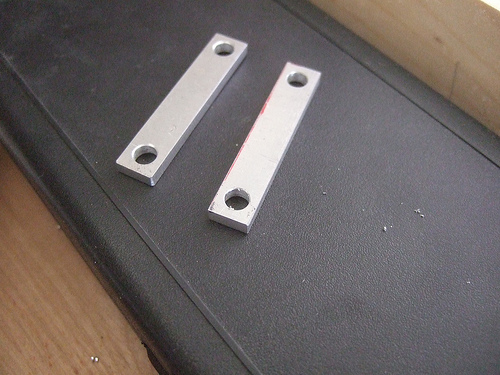 The next thing I will do is use a hole saw to open a hole of the intermediate shaft mount. Here is the intermediate shaft and motor mount being test fitted to the diff.